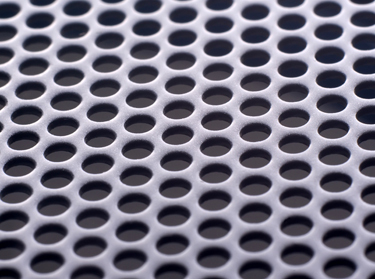 From perforated sheet metal to expanded metal mesh, Accurate Alloys, Inc. is the largest perforated and expanded metal supplier in the West, including decorative designs, that are ready for immediate delivery. We stock over 1.6 million lbs. of perforated and expanded metal in 650 items on the floor in 100 different patterns in 38 different gauges in five alloys for one reason... YOU! We go out of our way to make sure you can get what you want when you need it. Choose from our huge stock of perforated metals, ready to ship. Don't have what you would like? We can create custom hole patterns. American-made raised and flat expanded metals and gratings are stocked in a variety of materials, and are ready for immediate shipment today. Wire cloth inventory includes a range of sizes and materials to suit your specific needs. Grating for ventilation grates, walkways, platforms, safety barriers, drainage covers and more. Serving the Greater Los Angeles and Southern California areas.